The Punisher (1989) - NewRetroWave - Stay Retro! | Live The 80's Dream! Before Marvel started to spoon feeding us the good time doses of these current superhero serials in 3D-High definition theaters for $30 bucks a sitting and after the mega-bomb disappointment of Howard the Duck (1986). Marvel tried twice to produce a decent live action film based on any of its catalogued heroes. 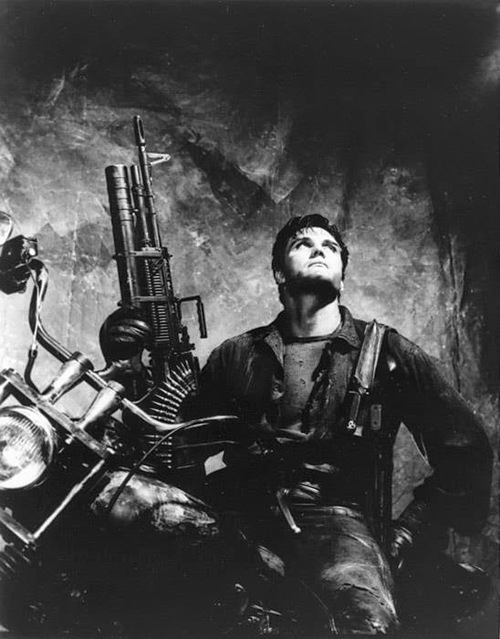 One of them was the garbage fest of the second Captain America movie (1990) and the other one is the underrated best Punisher adaptation to date. 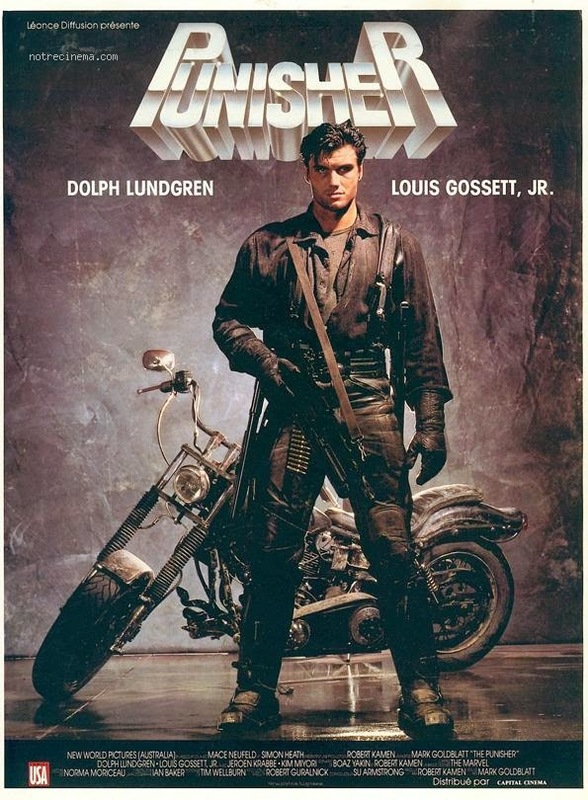 Punisher 1989 starred Dolph Lundgren and co-starred Louis Gossett Jr. (Officer & A Gentleman, Iron Eagle, Enemy Mine), Joroen Krabbé (The Living Daylights, The Fugitive). Directed by Mark Goldblatt; this is the second film he has ever directed, the first being Dead Heat. Mark Goldblatt the well-known film editor of such films as Terminator, Terminator 2, Piranha, Enter the Ninja, The Howling, Halloween II, Commando, First Blood part II, True Lies, Predator 2, Night Breed, Showgirls, and the list goes on and on and on; I’m not kidding it’s long. Some people hated it and some don’t; the ones that don’t greatly outnumber the correct ones. Artisan and Lionsgate have since tried to reboot the adventures of Frank Castle into two movies, one being The Punisher (2004) and later Punisher: War Zone (2008); one I hated and the other I didn’t mind. So you ask yourself, “What is the difference between those films and this one?” Well, here is an opinion from the gallows. The big difference is simple – Anytime you attempt the Punisher, keep it simple and crude. This isn’t some regular comic book it’s more in line with the violent pulp crime heroes that existed before the comics code. Thomas Jane’s performance in 2004 was well played. However, guess what the script sucked – it sucked. Travolta was overacting under a rug as usual and Kevin Nash’s cameo was just the frosting on a shitsickle, plus why should a movie go 90minutes before he starts icing bad guys. The 2008 movie was better than that one because of the near perfect casting of Ray Stevenson as Frank Castle and for the hard-boiled violent vision of female director Lexi Alexander. What was the negative of the film is probably the meddling of Marvel personnel and the studios pushing for the film to be more like the other hunks of junk superhero films of the time. Frank Castle should be simple and realistic as possible. He’s a man who has given everything to his country, and what has he to show for it? A country that’s overrun with corruption and a dead family taken from him by said corruption with no justice to be served, just endless red tape and bureaucracy. And Punisher 89’ is the closest you’ll get to it. If you want something better, then go watch the Death Wish series. 1989’s story is as follows – Frank Castle has been living underground and waging a one man war against crime for five years since the murder of his family. 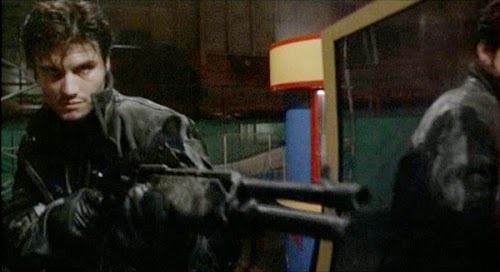 Wanted by the police for over one hundred homicides, his only friends are Jake Berkowitz (Gossett Jr.) and Franks informant named Shakes (Barry Otto). With the mafia now on its knees the city is now an open canvas for the Japanese Yakuza to start making moves on the vacant criminal market. The ruthless and organized Yakuza family is led by Lady Tanaka. As the film gathers steam, the power struggle of the crime factions becomes personal when the children of Mafia members turn up missing. Strap your boots, put on your skull shirts, grease your hair back, throw out the kale and watch a superhero from the Marvel universe that actually matters. “Every day the children of God are going to cost you money. Take that message to your people.” Squeeze the trigger, don’t pull it and keep your crosshairs on that damn rewind button.